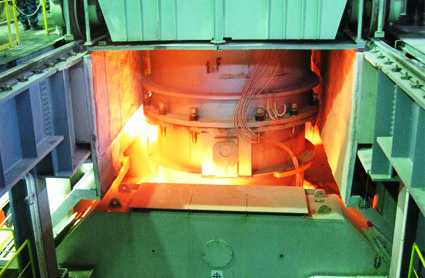 Molten steel, taken out of the converter furnace, is ultimately refined and degassed during the secondary refining process. 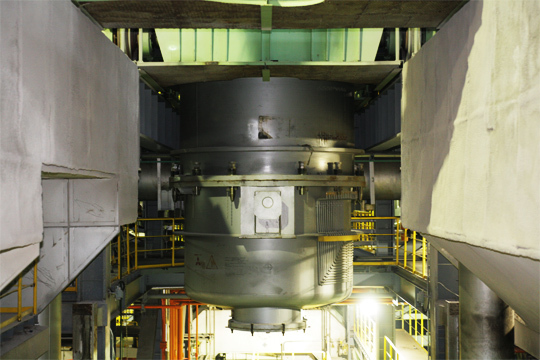 The RH Vacuum Degasser is ideal for the swift degassing of large amounts of molten steel. The RH Vacuum Degasser is also suitable for the mass production of high purity steel at integrated steelworks, realizing decarburization and heating by injecting pure oxygen gas into the vacuum vessel. Furthermore, it has extended refining functions, such as the acceleration of desulfurization and deoxidation through addition of flux while controlling the form of the impurities. 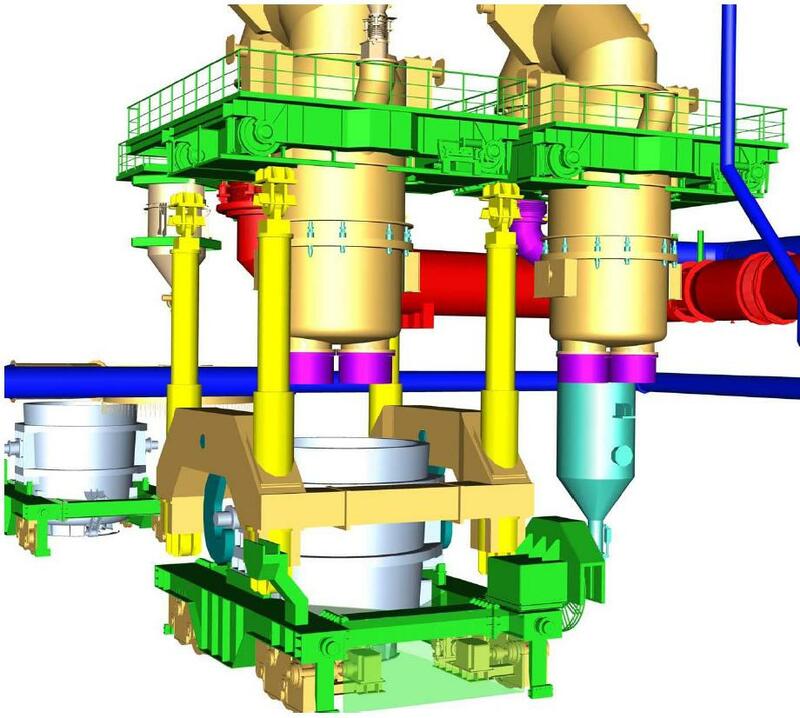 We propose the optimal layout to achieve high production efficiency. This makes it possible to achieve a high degree of vacuum as well as to smelt ultra-low carbon steel.Furthermore, it makes it possible to achieve a high degree of vacuum as well as smelt ultra-low carbon steel. Hoisting achieved through four synchronized hydraulic cylinders. The next ladle can be placed on standby during processing, thereby contributing to improvement of production efficiency. Construction costs lower than hydraulic elevation devices with a single cylinder. This is the world’s first design of ladle hoisting equipment with using the hydraulic cylinders, and started up the operation on 15th January 2010.